States have an interest in keeping their citizens safe and free from injury. Accordingly, Tennessee law explicitly defines certain duties for both pedestrians and drivers with respect to pedestrians. These duties are intended to decrease the risk of automobile-pedestrian accidents, and they apply to all drivers and pedestrians throughout the state. 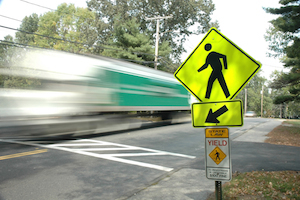 When drivers and pedestrians fail to follow these laws, injuries often occur. If you have been injured in a pedestrian-automobile accident, contact us so that we can review your case in a free, no-obligation consultation. Call us at 615-742-4880 or toll-free at 866.812.8787 and one of our award-winning lawyers will let you know if we can help you and your family. We handle all pedestrian accident cases on a contingency basis so we only get paid if we recover money for you.